The final design of the piece by Portland artist Aaron Stephan still hasn't been determined. 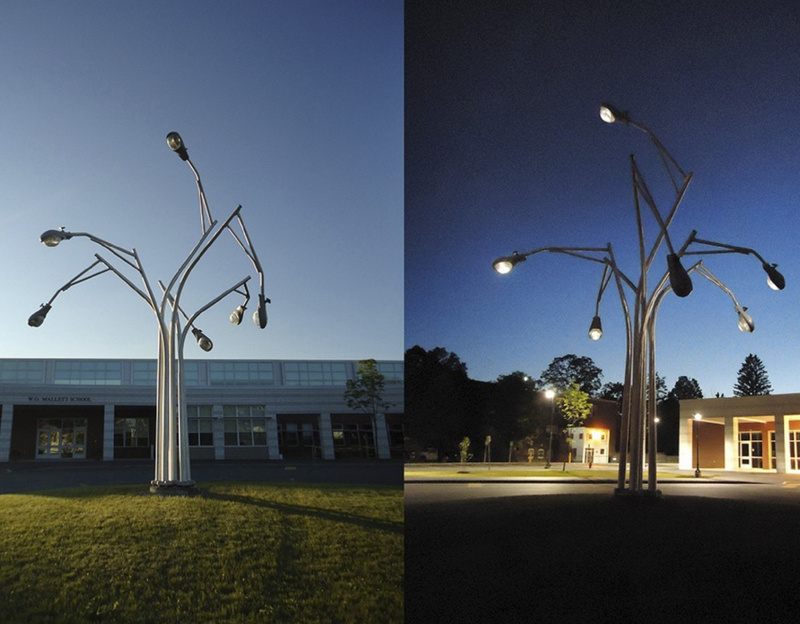 Portland city councilors admitted Monday that a controversial street lamp sculpture that has been proposed by the Public Art Committee for a new park at Woodfords Corner has not been well-received by their constituents. The sculpture will be installed on a plaza near the Odd Fellows Hall on Forest Avenue as part of a city transportation project that seeks to transform the congested intersection into a more pleasant place to drive and walk through. In March, the art committee revealed its intentions to hire Stephan during a public forum at the Woodfords Congregational Church. About 100 people attended the forum, whose purpose was to gather input on a plan to improve the Woodfords Corner intersection for motorists and pedestrians. Art committee members say the sculpture, which would be built with off-the-shelf street lamps, represents an attempt to give Woodfords Corner a unique sense of place, and make it a more enticing area to visit. Stephan would be paid $20,000 to create the sculpture, with an additional $5,000 to install the piece. All of the funds would come from a surplus in the art committee’s budget. 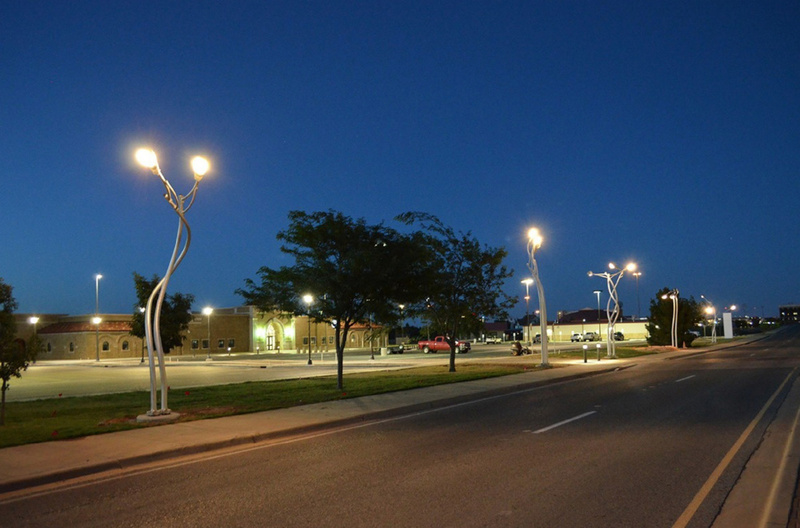 After the Portland Press Herald published images of similar street lamp sculptures that Stephan designed in Lubbock, Texas, councilors started to get feedback. “It seems clear that many in the community are not all that enthused about this cluster of lights,” Councilor Nicholas M. Mavodones Jr. said. Mavodones, who said he changed his mind at least three times during Monday’s hour-long discussion, ended up voting against the project. Lin Linsberger, chairwoman of the Public Art Committee, said the opportunity to hire Stephan seemed too good to pass up, which is why the art committee came before the council Monday for approval. 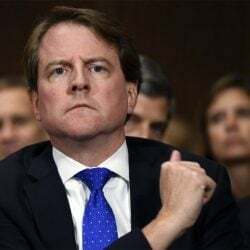 Linsberger said Stephan appealed to the committee because he is based in Portland and is one of a few artists in the United States who does street lamp sculptures. There will be at least one more public meeting and possibly two before the Stephan can actually begin to design the sculpture, Linsberger said. “We’ve selected the artist, but we haven’t agreed on what the sculpture will look like yet,” she said. Steven Scharf, a local resident, said it makes no sense to him to commission a piece of art when no one knows what it will look like. “It makes no sense at all,” he said. “There’s a certain act of faith in any public art,” Linsberger told the council. Costa said the council should support public art and not get involved with the aesthetics of a piece. Councilor Belinda Ray praised the art committee for being creative and taking advantage of an opportunity to recruit a local artist. “It just seems very serendipitous to me,” said Ray, who voted in favor of hiring Stephan. Mayor Ethan Strimling also supported the artist and advised councilors against letting their personal artistic tastes influence their decision. “It is very sacrosanct to me that public art has as little political influence as possible,” Strimling said. “If we make a mistake, that’s OK.